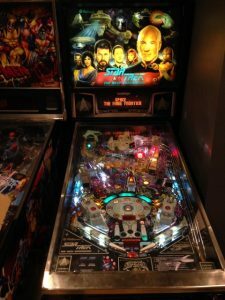 First things first, are you ready to own a pinball machine? Unlike video games, pinball machines have a lot of moving parts and electronics. The more you play them the more likely that you’ll eventually have to repair something. Most repairs are pretty simple, but if you’re not comfortable with a soldering iron it would be best to make sure that you have a repair person within a reasonable distance. Common repairs usually involve wires breaking off switches, replacing old rubbers, replacing light bulbs, etc. When I bought my first game, I didn’t know anything about repairing games. I played that game over and over again until one day one of the targets no longer worked. I was a little petrified with fear, now I have to open it up? Luckily I got over that and opened it up, spotted the problem right away, broken wire on the target. Soldered it back to the right spot, and wallah, all fixed. This is an example of something you might run into. Once you’ve determined that you’ve got the repair possibilities under control, you’re ready to start the next part, which is determining what game to buy. Usually the #1 thing people care about when first buying a game, what is the theme? Is it a movie you loved, a sport, or maybe a fantasy theme? The best place to figure out what theme you want is to go to www.ipdb.org. 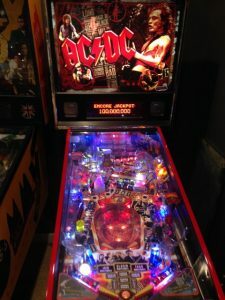 The pinball database has a list of the top 300 games plus pictures/ratings of all other games that were ever made. Just a word of caution when it comes to the ratings, they are merely a guideline to what is popular. Just because one game is rated #1 and another is rated #50, doesn’t mean that the #1 game is more fun than #50. It’s a little like video games, everybody has their favorite games, and rarely do two people agree on what their favorite game is. Twilight Zone is the #1 rated game currently, but it isn’t my favorite game by far. It does have a large amount of interactive devices on the playfield like the gumball machine and powerball, but falls short in my opinion in longer term enjoyment. Besides just the theme, the other major thing that makes a pinball machine desirable are the ‘rules’. Rules are basically what defines the values of the shots and what order the shots need to be made in. Like a simple example rule would be that knocking down a set of drop targets awards 1000 the first time, 5000 the second time, and an extra ball the third time. As games have gotten more sophisticated, the rules have also gone in that direction. The reason this is important is that the newer games generally have better rules, which means that they generally are more fun over a longer period of time (basically, it takes a lot longer to bored with the game). Early 80’s games generally have very simple rules, mainly drop target and spinner rules. As the decade went on, rules started to develop a lot more, especially when ramps were added to the games in the 80’s. When the 90’s started, most games followed the rules pattern set by the Addams Family game, which set the record for the most pinball machines ever produced. Rules after the Addams Family got slightly more complicated towards the end of the decade, but not by leaps and bounds. The 2000’s is when rule development took a huge step forward with the Lord of the Rings game and the Simpsons pinball party game. Both of those games offered rules never seen before on a game, making them very good for home ownership. That rule development continued to the present day, with games like AC/DC, Metallica, and Star Trek. If you’re a first time player, then the ruleset isn’t the biggest deal as you won’t be a good enough player to get very far for quite a while. Once you get better though, some of the more complicated rulesets might be a better fit. Once you’ve selected a game, next comes the hardest part, buying it. How much does it cost is the biggest question, if you’re lucky the game you’ve decided on is only a couple thousands. If you’ve picked something in the top 10 though, it’s likely that it’s going to cost you at least $5,000 and maybe closer to $10,000. New machines also start at $5,000 and go on up to $8,000 for limited edition games. The price guide can be super useful when trying to get a ballpark of a game’s value. Without it, you’re sometimes at a big disadvantage when negotiating the price. By this point, you’ve found a game that both matches your wants and budget hopefully. Next step is to actually find the game. 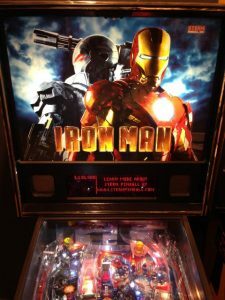 There are basically three different places to get used pinball machines for the most part. You can get them either from local classifieds like craigslist, local collectors, or from a local brick and mortar store. I bought almost all of mine from the first two categories, I didn’t have any local stores when I was starting out (and even if I did, they probably would have been too expensive). For your first game, you’re typically going to be paying more than the game is probably worth, it’s just hard to judge condition or find deals when you’re first starting out. That’s ok though to overpay a little, as long as the game works 100%. It should really help out when buying your first game plus save you some money in the process. How much your game is currently worth? It could be a lot different from when you bought it, even it if was just 6 to 12 months ago. Are there any issues with the game? You must disclose anything you know about the game, if things don’t work, if there are cosmetic issues, etc. Not disclosing things is the number one way that transactions go sour, nobody wants to drive 4 hours to find out that one of the flippers is broke or that there’s a huge cosmetic issue. Honesty is the best policy. Do you have a way to get it out of your house? A lot of times the person picking up the game doesn’t have proper equipment, like a dolly or enough manpower. You need to make sure ahead of time that you have this figured out. Nothing is worse than having someone travel a long distance and then find out that neither of you have the right equipment to actually get it out of the house. Will you accept anything other than cash? I highly recommend only accepting cash unless the person is a friend. Too many things can go wrong through paypal or check. You don’t want to end up on the wrong side of a transaction with no money or machine. Do you have the keys to the game? Nothing is worse than someone traveling a long distance to buy the game only to find they can’t fold down the head or get inside due the keys being missing. I’ve been force to drill out locks before in order to get the games moved. It works really good on playfields and plastics, even cabinets. However, you have to be careful on playfields before 1990, it can accidentally remove paint from the playfield. On playfields made earlier on, some people use mill-wax, some just use Novus 2, some use magic eraser, etc. I personally use a combination of Novus 2 and magic eraser on older playfields, it seems to work decently well. New pinballs are recommended every year as well or whenever they start looking pitted. I usually buy new pinballs from Pinball Life. If you own a machine for any length of time, eventually the playfield rubber will get old and break. Usually it’s a ring around the slingshot that breaks due to use, although occasionally one of the other rings breaks. In order to fix that, you’ll have to order a rubber kit from one of the pinball part places online. Make sure that you order the right color so it matches. I would also recommend replacing some of the easier to reach rubber places while you’re at it. That way you don’t have to do it later. Changing the flipper rubber at the same time is also a good idea. Over time the flipper rubber can become a lot less bouncy which can make it harder to make some shots. Hopefully this guide will assist you in your purchase or selling plans. I’m available through email at gameroominfo@gmail.com if you have any additional questions.